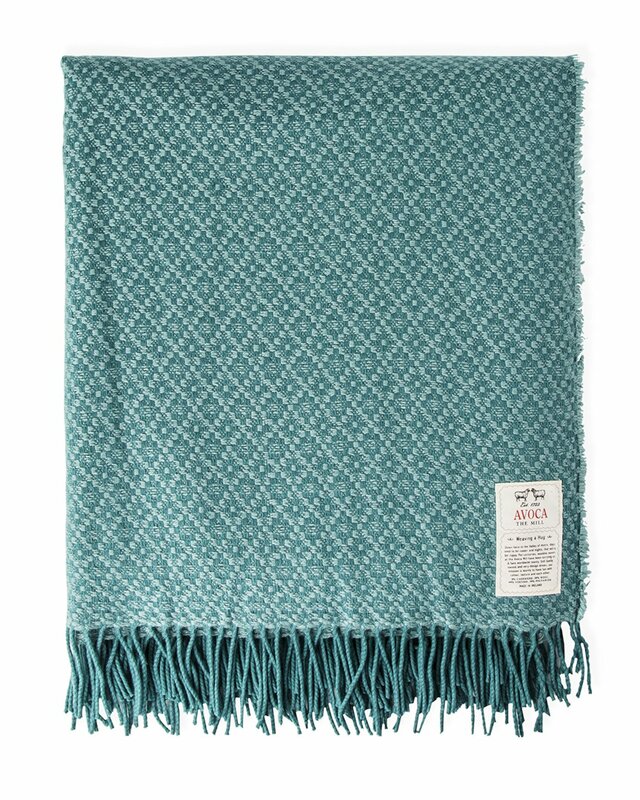 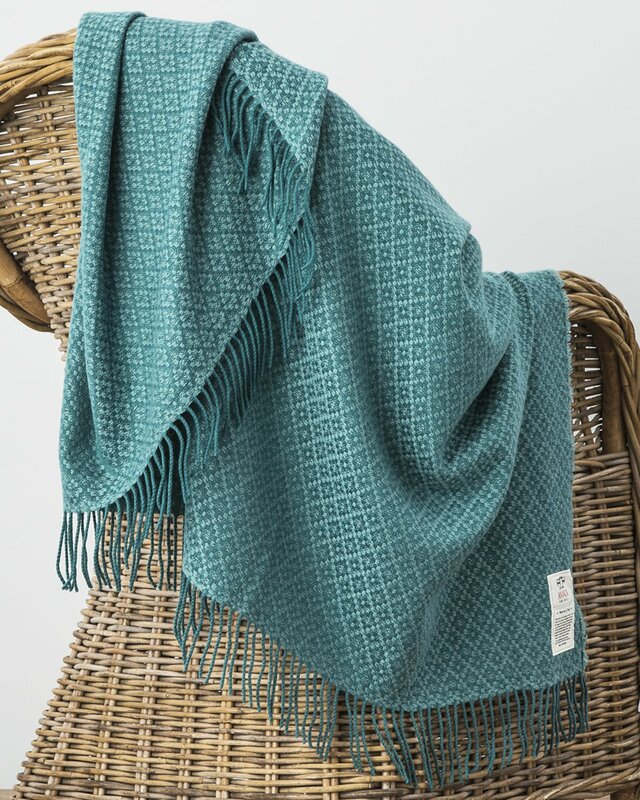 In a gorgeous shade of teal with a subtle all-over design, the Bridget throw promises to elevate any interior. 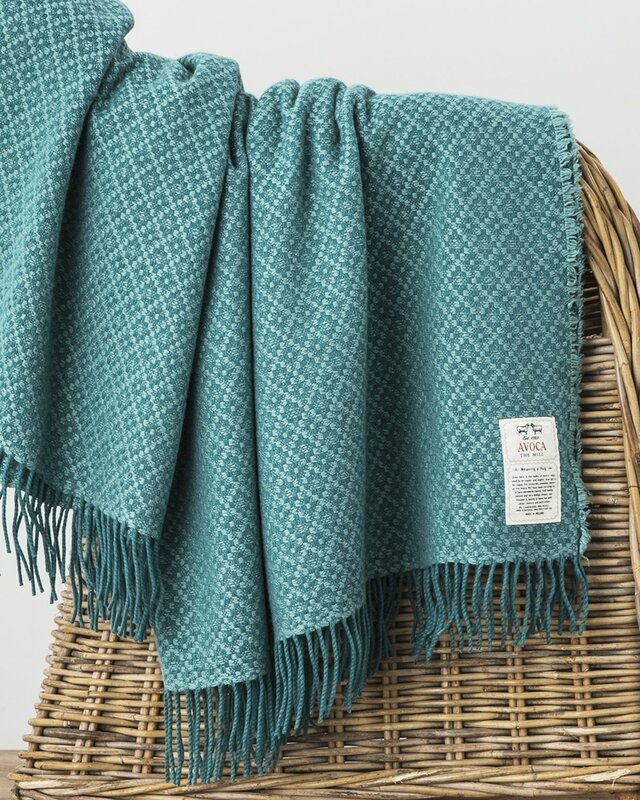 Crafted from a sumptuously soft cashmere and wool blend, this gorgeous throw is wonderfully warm as well as effortlessly stylish. 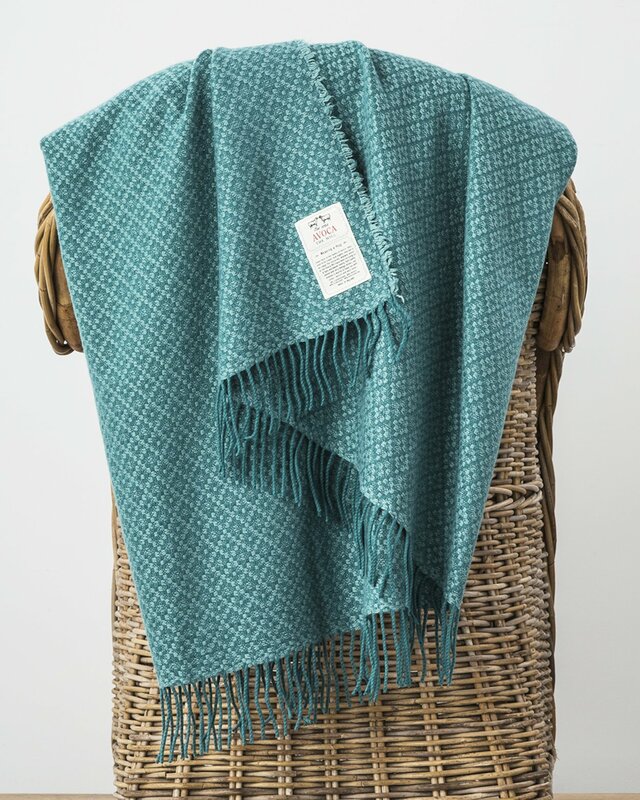 Finished with tassel fringing, this throw looks great thrown on the back of your sofa, or layered on your bed.